The Syrian civil war is a vast, complex and convoluted conflict with a wide array of actors and forces involved, all seeking to benefit their own desires and block the actions of their opponents. Unlike “traditional” wars, there are no two sides in this conflict. The purpose of this post is to attempt to make some sense of the conflict for those who are new to it or who only follow it passively. It is by no means a definitive list of factions fighting, nor does it represent the absolute reality on the ground. 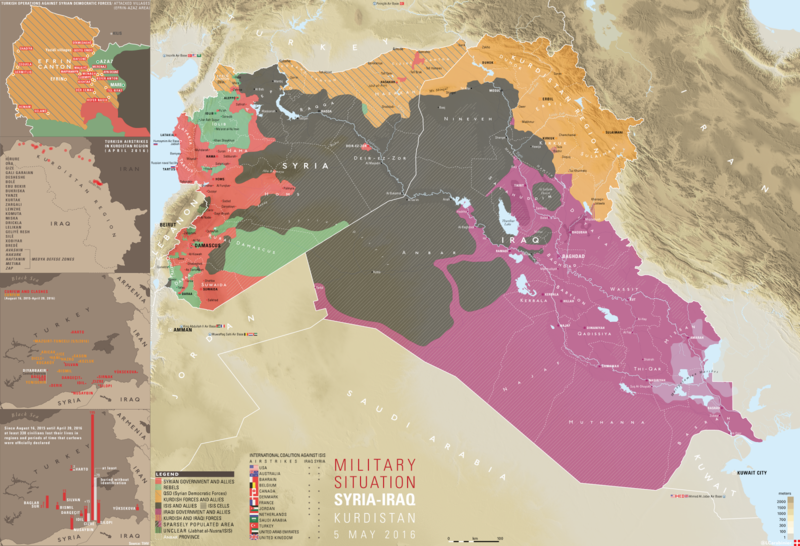 This post tackles the Syrian government and its allies in particular, seen in the above map as the red area. 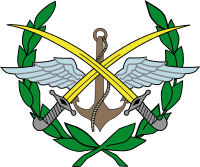 The main fighting force of the Syrian government, the Syrian armed forces are comprised of the Syrian Arab Army (SAA), Syrian Arab Navy, Syrian Arab Air Force (SyAAF), and the Syrian Arab Air Defense Force. Together they number between 150,000-270,000 individuals and are supported by various foreign backers, which will be discussed later. The Syrian Armed Forces were prepared mainly for a large-scale war against Israel and later retooled to focus on their civil war task, meaning large numbers of armored vehicles have been brought out of storage and into play. In fact, over 1,500 tanks had been destroyed by 2013. Large-scale defections from the Syrian Armed Forces led to the creation of the Free Syrian Army on 29 July, 2011. The Syrian military had around 325,000 personnel prior to the outbreak of the civil war in 2011, but due to defections, draft-dodging and casualties they are hovering close to an estimated 175,000 personnel, but again and as stated previously that number varies based on the source. As the situation in Syria has grown more dire and manpower limitations have come into effect, the Syrian government under Bashar al-Assad has been conscripting previous soldiers back into service despite them already having served their time. Founded in 2012 and comprised of about 100,000 militiamen, the NDF provide a reserve force for the SAA as well as a handy counter-insurgency tool. Often the NDF is tasked with defending the lands from which the conscripts are drawn, giving them a desire to fight for their own territory. Founded largely based on the People’s Popular Committees, these forces often augment SAA and allied groups as they assault enemy positions and provide what is essentially cannon fodder for enemy guns. 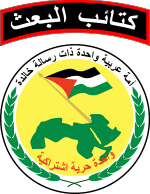 A force of roughly 7,000 volunteers, the Ba’ath brigades are light infantry comprised mostly of Sunni Muslims who are tasked primarily with manning checkpoints, providing logistical support, and defending government buildings. The SSNP provides between 6,000 and 8,000 fighters for the Syrian government. These fighters adhere to a rather extreme form of Syrian nationalism and their political party advocates for a Syrian state which would span Syria, Lebanon, Iraq, Kuwait, Jordan, Palestine, Cyprus, the Sinai Peninsula, and parts of southeastern Turkey. The SSNP has gained much popularity since the start of the civil war. With an unknown number (but in the thousands) of fighters in Syria, Hezbollah is one of the largest factions in the fight. Their soldiers are rather well-equipped and well-trained, veterans of the wars with Israel. Up to 2,000 Hezbollah members have been killed in the fighting so far, and about twice as many injured. Hezbollah, Syria and Iran are part of what is known as the Axis of Resistance. Formally known as the Army of the Guardians of the Islamic Revolution (IRGC), these forces are known for their loyalty and tenacity of their attacks. While their initial involvement in the war was greater, in recent months the Iranian role has been significantly reduced to a number of advisers. They are occasionally augmented by members of the Basij and the Quds Force. In addition, the Iranian Army has deployed its 65th Airborne Special Forces Brigade to Syria, and while they are not technically under the IRGC’s command, I’m lazy and didn’t want to make a separate entry just for that line of information. 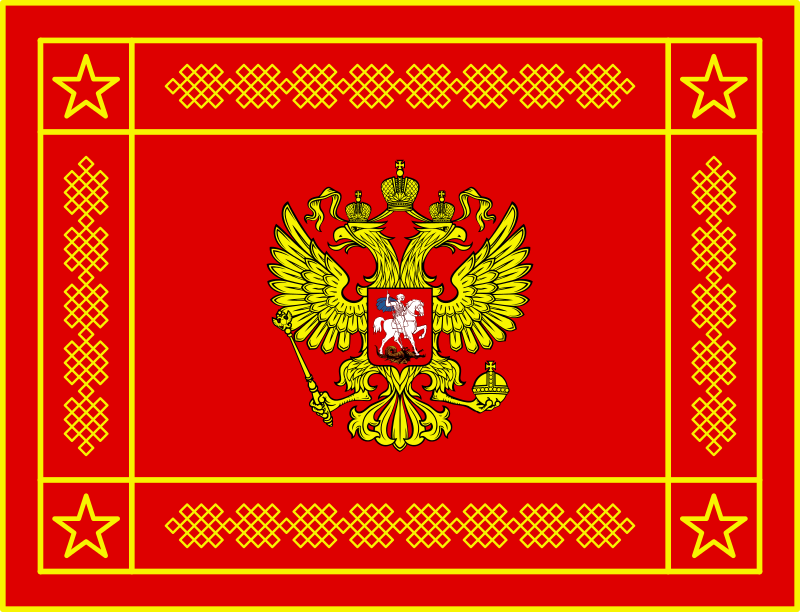 Both the Russian Air Force (RuAF) and the Russian Navy have provided support for the Syrian government since the onset of hostilities. Russian naval support has come in the form of warships providing SAM coverage and cargo vessels bringing in weapons/equipment/soldiers. RuAF support has come in the form of heavy air support and close air support for Syrian/Hezbollah forces. These strikes have often resulted in heavy civilian casualties and widespread destruction, and have primarily targeted the Syrian opposition instead of strictly targeting terrorist groups, as the Russian media and government report. Syrian receives weapons from North Korea, Iran, Russia, Iraq and Belarus. Venezuela, Angola, China, Algeria, Armenia and Cuba provide other forms of support for the Syrian government, either political or material in the form of non-lethal aid.